Did you know that Invisalign makes aligners just for teens? Invisalign Teen lets kids eat the foods they love, play the sports they enjoy, and smile with their friends without fear of showing metal brackets and wires. Get the facts about Invisalign for teens when you watch the accompanying video. You’ll hear about the sophisticated computer imaging software the dentist will use to precisely map every stage of the treatment. You’ll even get to see what your teen’s smile will look like before beginning the treatment! When your teen is ready for Invisalign treatment in NYC, call Park 56 Dental at (646) 783-3529. Our dental clinic maintains a friendly, welcoming environment, and focuses on high-quality, patient-centered care. Dentists recommend scheduling a professional teeth cleaning and exam every six months. But between trips to see your dentist, your teeth can accumulate a lot of plaque and tartar. Keep your teeth clean and healthy between visits by brushing at least twice daily. If you’re prone to tooth decay or gum disease, you might want to brush your teeth an extra time after lunch. Use a soft-bristled toothbrush and toothpaste that contains fluoride. As essential as brushing is, it can’t reach the areas between the teeth. This is why you need to floss at least once per day, every day. 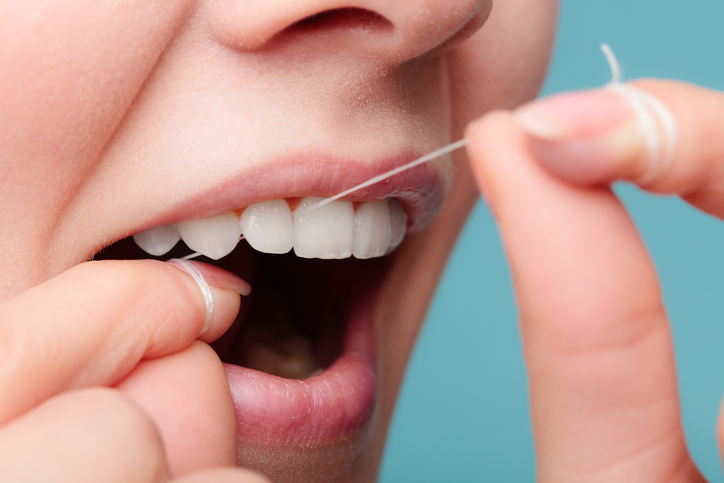 Talk to your dentist if you have trouble gripping or maneuvering the floss. He or she may recommend using a proxabrush or handled floss pick. You can also add mouthwash to your brushing and flossing routine. Look for mouthwash that carries the ADA seal, contains fluoride, and doesn’t contain alcohol, since alcohol can dry out your mouth. Schedule your next dentist appointment in NYC at Park 56 Dental. Call us today at (646) 783-3529, and find out for yourself why we have some many rave reviews from our patients! Sedation dentistry is the use of safe, FDA-approved medications to help dental patients relax during their treatments. Nitrous oxide offers the lightest level of sedation available. It’s often called “laughing gas,” but it doesn’t actually make you laugh. Nitrous oxide works to induce a state of calmness and relaxation. It can also cause patients to feel a sense of euphoria. 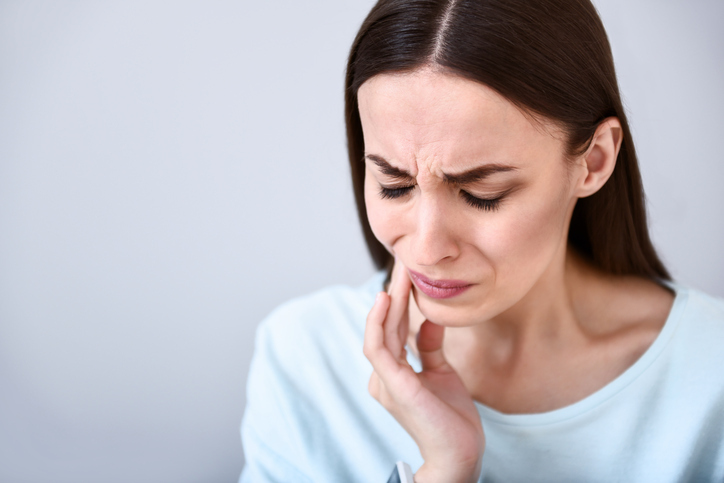 While patients are enjoying this altered state of mind, the dentist can perform any sort of procedure—from dental fillings to root canals. 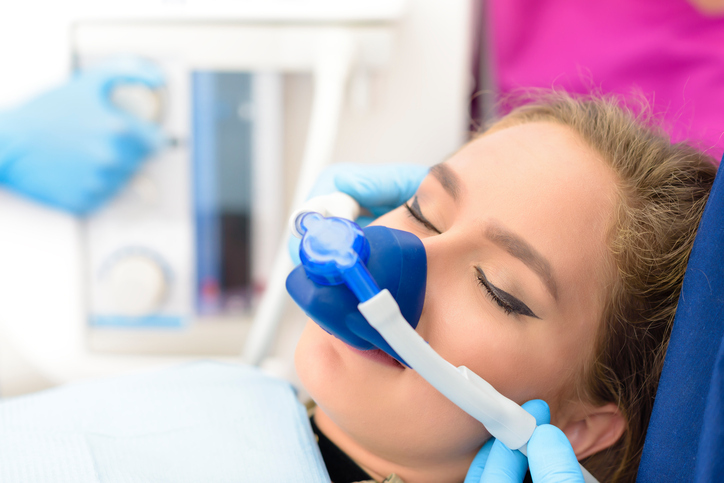 Because laughing gas makes dental patients fully relaxed, they may be more likely to laugh when they encounter something humorous. However, laughing gas won’t make a patient suddenly start laughing for no reason at all. Park 56 Dental is pleased to offer safe and effective sedation dentistry in NYC for patients who are interested in a relaxing, completely stress-free dental experience. Give us a call today at (646) 783-3529, and let us help you love your smile! Most people don’t expect to see a dentist more than twice a year, unless they’re having cosmetic dentistry or restorations done. But sometimes, accidents happen. An emergency dentist can provide prompt care for common problems like a cracked tooth, severe toothache, or knocked-out tooth. A knocked-out tooth is clinically referred to as an avulsed tooth. If you lose a permanent tooth, time is of the essence. You need to get to the dentist’s office within an hour for the best chances of re-implantation. First, locate the knocked-out tooth. Only pick it up by the white part, which is the crown. You can rinse the tooth with water, but don’t scrub it. Try to reinsert it in its proper place, making sure the crown faces the right way. If this isn’t possible, you can protect the tooth with a tooth preservation kit, available at drugstores and some supermarkets. If this kit isn’t readily available, place the tooth in a cup of milk while you get to the dental clinic. If you have a minor chip on a tooth, it can wait a few days to receive a dentist’s attention. But if you have severe chipping or a cracked tooth, you should see a dentist right away. A severe crack may indicate damage inside the tooth. The dentist will likely take an x-ray to assess the possible internal damage. If the pulp has sustained trauma, then you may need a root canal and a crown. Park 56 Dental has dentists on call after hours to provide emergency dental care to patients in NYC. If you need prompt assistance during office hours, call (646) 783-3529, and we’ll get you in right away. Our highly trained providers have access to the latest medical technology to perform accurate diagnoses and develop effective treatment plans.